In the age of modernization and advancement, you just can’t remain stuck to the things for longer periods of time. If this is about your home, you are compelled to keep making changes. You have to alter the décor and interior plans with intervals. You just can’t stay static. So this time we have got something different for your house which is probably the vital part of your house. 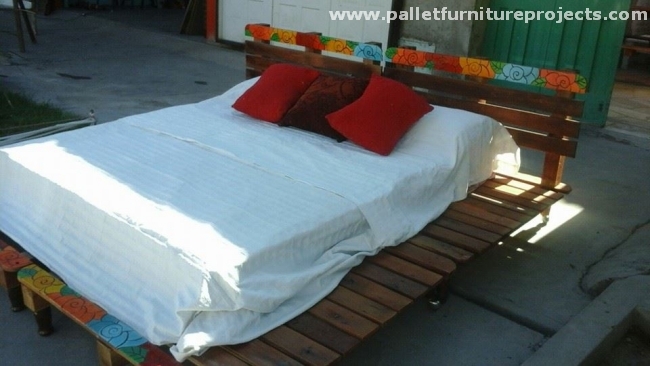 And this is the pallets made bed idea. 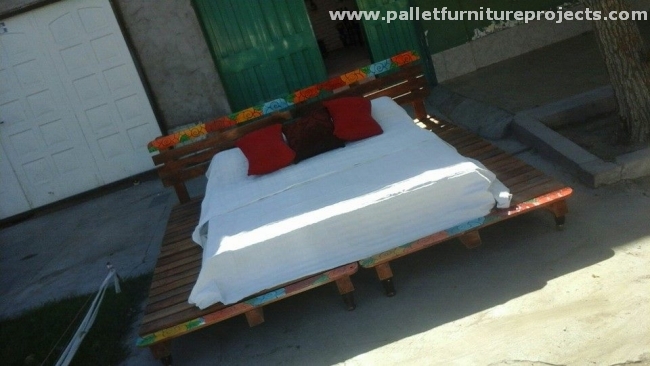 If you are done with the older one and want to replace it as soon as possible, and you are also concerned with the budget then you have got no choice but just this pallet wood made bed. Though we have presented a large number of wooden pallet bed ideas along with heavy headboards, but this is just like an ongoing process. Our experts have indulged into pallet wood extravaganza. They just keep experimenting and keep coming up with new and different inspirations just for you. Because this is what we do, this is our passion and obsession. So hope this pallet wood made bed idea would be great support for your pursuance of a new room bed. 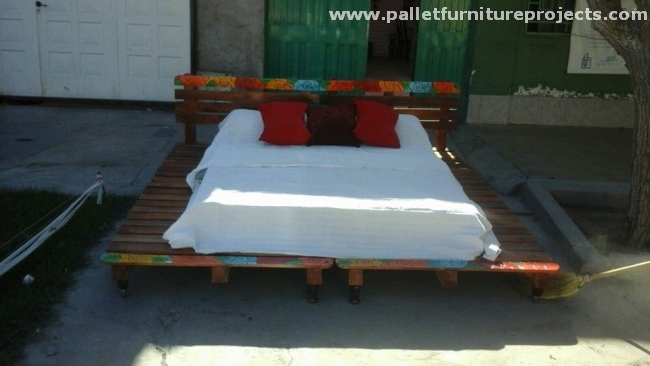 Just get quick survey of the pallet wood bed idea, this is just like two similar single beds are combined together. Made using the wooden pallet dis assembled planks, they have got the metallic wheels on their base which makes their movement so damn easy. Their design is just as simple as it could be.Plus we have got a relatively smaller headboard on the back of bed. Both the ending wooden planks are painted a bit artistically while the rest of frame is just left unstained just to maintain a rough and rustic look. Use it indoor or outdoor wherever you like it. But this really needs a try.